I'm often advised to never look back. (I admit, this is a personal weakness.) This includes doing things that gives me an opportunity to hold on to something from the past. Decluttering somehow tempts me to stick with this weakness. But once I decided to release and let go, it feels like I gained steps closer to maturity and adulthood. I feel relieved, renewed and reinvigorated. Before I regained my interest in blogging, I used to read everything written in my planner before the year ends. I treat my planner as a personal journal where I record the significant events every day. 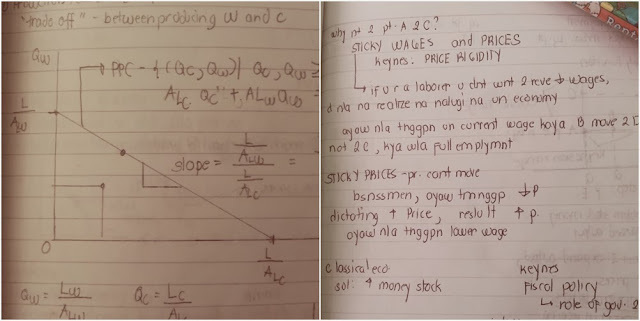 Maybe in another post, I can share snippets of my planner turned journal over the past years. 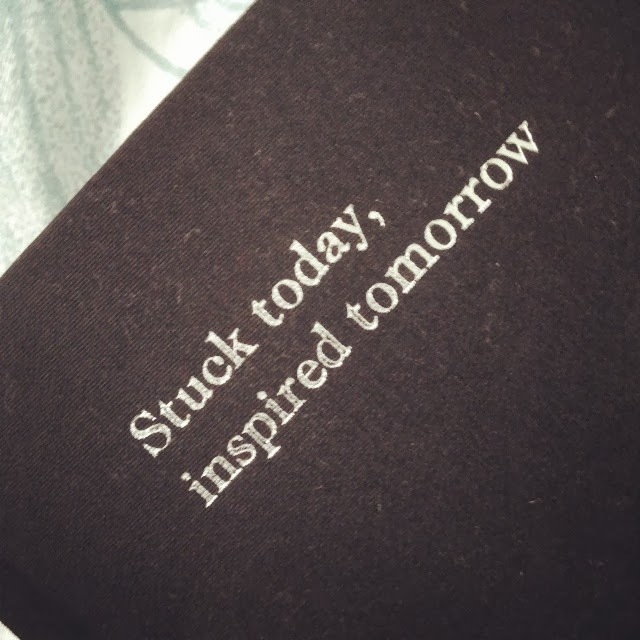 While I still maintain a planner, blogging quite changed me. Most significant events to memorable everyday experiences in my life are documented here. Looking back the year that is about to end has become a personal tradition. Over the past days, I've been reading my posts in 2013. I read everything and compiled here the best and memorable. We didn't have our annual spiritual retreat in one of my favorite places. I was sad because I will not be seeing Caleruega in 2013. We were instead housed in this unique resort and ancestral house in Batangas. Casa Corazon is a fusion of attractions you never expect to exist in one place. The resort provides a breathtaking view of Batangas, growing number of swimming pools for an upcoming resort house, collection of vintage cars, museum of BMW bikes and a very Filipino ancestral home. These are some events I want to recur in 2014. On the first month of 2013, I was able to organise a mini-reunion with my college friends. Time flies so fast because it's been a decade since our college graduation. I hope that my dear friend A will have the initiative to organise another reunion in March. 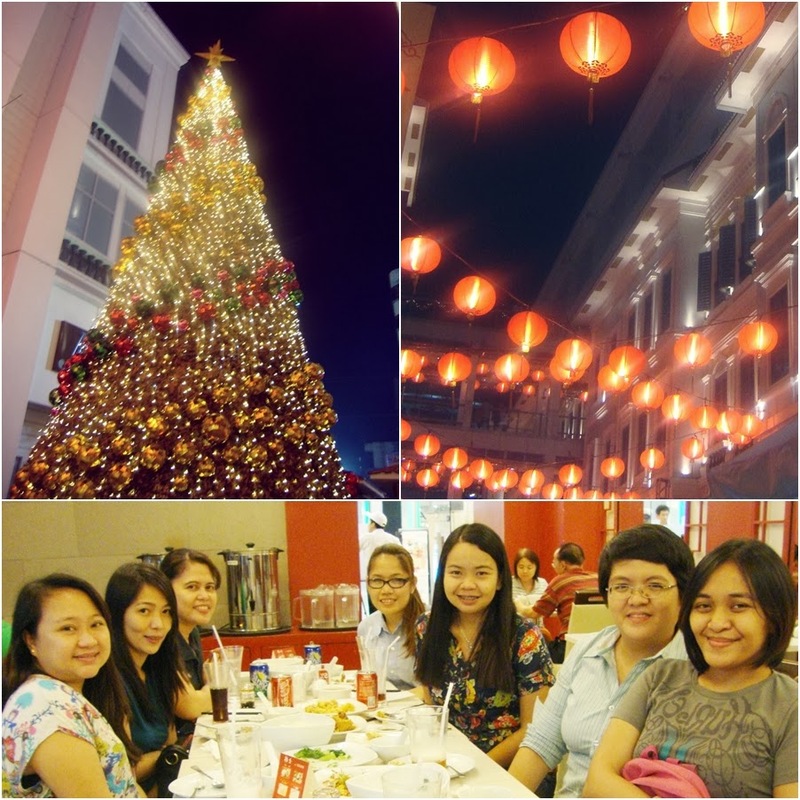 My workplace friend T and I have been visiting Binondo during the Chinese New Year. We have been doing this every year. I hope the tradition will not break in 2014. Another friend tied the knot last June 2013. I was one of her bridesmaids. I'm not sure if any of my single friends have plans or wedding surprises for 2014. heehee Setting aside the stress and worries over the bridesmaid gown that never fails to make me look fat, I would be the happiest if another friend finds Mr. Right 2014. Hello dearest friends G and C! This is another country I want to visit again. I was amazed with the city's excellent urban planning and economic progress. Setting aside the unpleasant experience from the immigration officer in Manila and my supposedly travel companions, I don't ever regret saving and spending for a trip to Singapore. On a personal note, I have unfinished businesses here. If given the chance to return in Singapore, I will make things right even if it means traveling alone. By the way, I have to mention that I met a Filipina blog friend here in Singapore. Hello Zigird! How can I be a tourist in my own country? I was thankful that my Boss initiated and organized this summer trip. Palawan is so beautiful to be missed. A number of prominent personalities from other countries have been mesmerised by Palawan. If I will tour and sponsor a trip to the Philippines to a blog friend, Palawan is definitely in my list. Iris and Gentleman's Dignity made it as the best Korean drama series I had this year. Iris captured all the drama and suspense. Gentleman's Dignity gave me the best romantic comedy flix. I can forever spend my weekend mornings here. Best about everything is the location within my hometown. And I just died haha I entered another decade in my life this year. I reach the age I'm dreading for the longest time. I'm turned 30 before 2013 ended. It wasn't the best birthday I ever had. However, things got better over the next days. There were surprises and opportunities that emerged. How could I summarise my 2013? It has been another year of travel and discoveries. I had my own share of pleasant and unpleasant surprises. I met and found new friends. I still have my weight problems. I'm still battling my financial management issues. There were undocumented trials and as always, the grown up problems. At the end of the day or year :) I'm grateful for everything that happened in 2013. How was your Christmas? I spent mine at home with my family. We shared sumptuous lunch and dinner, slept in the afternoon (best! 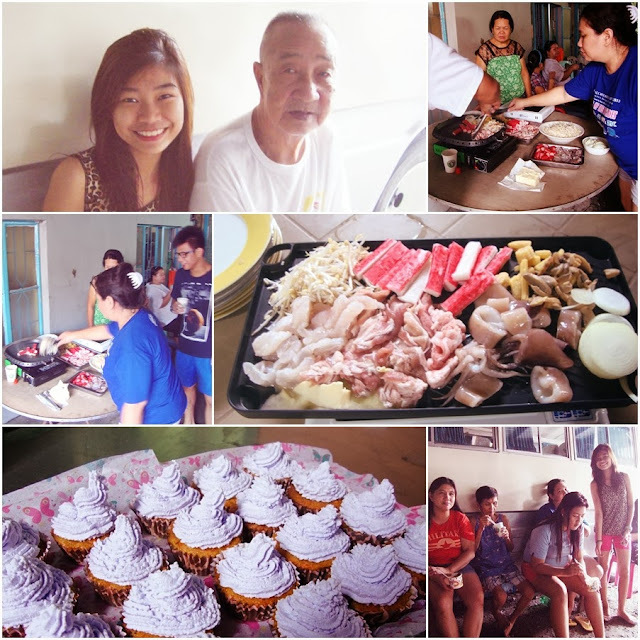 haha) and visited my Lolo and cousins before the day ended. While others ended up exhausting themselves, I experienced the opposite. I had a boring yet relaxing Christmas. 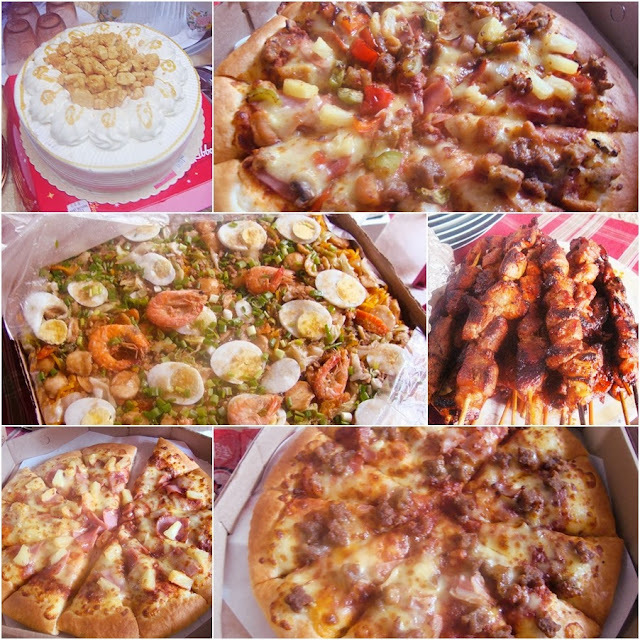 Instead of sharing photos and stories of my quiet and boring Christmas, let me share one of the many things that made my 2013. 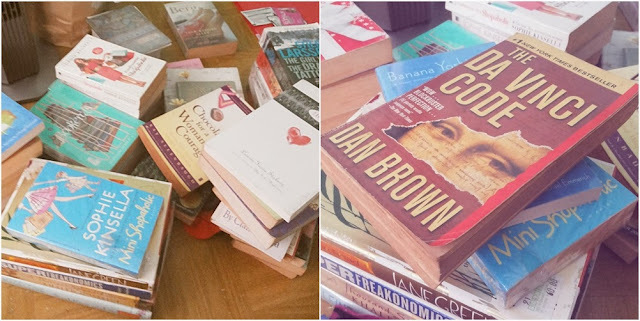 Aside from flat shoes, bags and clothes, these books have taken away a significant amount of my hard earned salary. They were my everyday commuting companions, partner in bed (heehee), source of both sadness and happiness and one of the reasons why I still have something to blog .. other than my Beautiful Sunday series. All books were purchased from my personal money, except John Green's Looking for Alaska. If I sum the expenditures, I could have already purchased a nice set of my much coveted pearl earrings, weekend stay in Tagaytay, new mobile phone to as much as a promo fare ticket to Hong Kong, Macau or Malaysia. Now this gives me some feelings of regret?!? Haha Yes or yes? The Fault in our Stars by John Green - This is a must read for all the hopeless romantics. John Green is just so good in weaving words that can create those heartfelt emotions. One Hundred Names by Cecelia Ahern - As always, Cecelia Ahern never failed to make me believe in magical experiences. Everyone is bound to experience one in their lifetime. Whatever You Think, Think the Opposite by Paul Arden - I liked this than his more famous book, It's not how good you are. It's how good you want to be. He shared tips on how people who don't often think out of the box can generate creative and successful ideas. Life on the Refrigerator Door by Alice Kuipers - The book didn't receive great reviews. Surprisingly, I love the book. The unpredictable ending gave me tears. Train Man by Hitori Nakano - Silly, funny and entertaining. The story could fit a script for a romantic comedy film or TV series. Every Day by David Levithan - My first read from David Levithan. He shares John Green's talent of creating stories that capture the heart. The Book Thief by Markus Zusak - The book has all the elements that makes a perfect read. Surprise of surprises, I have another sentiments for the book. For some reason, I was able to predict the book's ending and this quite frustrated me. The Kite Runner by Khaled Hosseini - This would make it as my best book for 2013. I got a discounted and dilapidated copy from BookSale. It was a decision I never regretted despite the screaming empty wallet. It was the best purchase I made for Php 180. The entire story was sad and serious. I have so many reasons to dislike it, but I ended up considering it as one of my all time favourites. It has all the elements of a great read. For 2014, I intend to sustain the same target. I hope to finish at least 12 books next year. While I still prefer my paperbacks, I would love to utilise all the e-books stored in my iPad. It can save me enough money and space inside my bag. My only problem with e-books is that I can't read them during my commuting hours. I can't take out my iPad inside the jeepney that passes through Quiapo and Recto Avenue. If I read inside the train, I will gain sharp glances from fellow passengers. They will think of me as someone who just wants to brag her Apple device. If I read in bed, my eyes get easily exhausted with the built-in light. On weekends, I always end up sleeping during the lazy afternoons. Whether in print or electronic, my love for reading will remain. I'm looking forward to discover more titles and authors to inspire and keep me company. 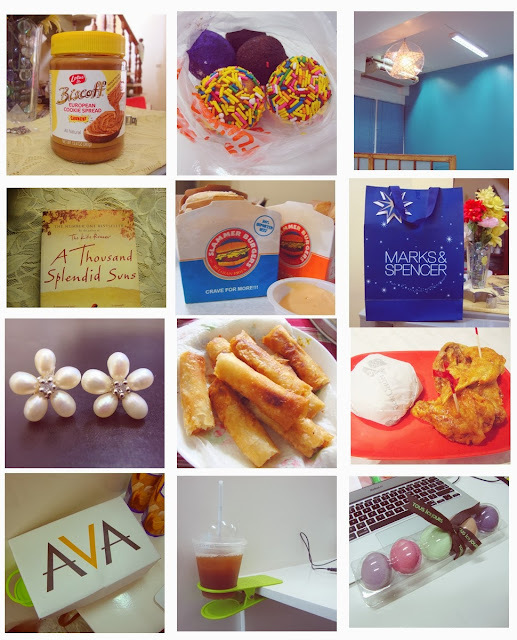 This is my fourth Christmas in the blogosphere. Yay! I'm currently on a holiday break. Yay! Best about everything, I have two weeks to sleep without being disturbed by my alarm clock. Days before my last day at work, this is how my work niche looks like. As Gretchen Rubin mentioned, declutter to happiness. I was throwing away some unnecessary things and brought home some work that needs to be accomplished. Yes, I still have pending works. I was quite unproductive this year. I failed to comply with my personal target. I want to redeem myself on the beginning of the year. Hence the take home jobs I want to finish. I'm also blessed with some freelance works. Hopefully all clients will proceed as planned. I didn't buy anything from the flower shop. I joined a friend who bought something for her special one. :) While waiting for the arrangement, I took time to explore the shop. The scene in the middle is something I did for a friend. I guess no one can argue with the fact that one of the best Xmas gifts is when your crush personally delivers a present. Sweetness overload for my dear friend C!!! Still dealing with sweetness overload, we went to this chocolate house a few weeks ago. I accompanied my cousin who is currently addicted with baking cupcakes. Taking photos inside the premises of the store is unfortunately prohibited. If only I can show everyone the endless chocolates and baking paraphernalia. Before going home, my nieces and nephews forced me to watch a live PBA game. While I love watching basketball games, I usually watch from the collegiate league. The last time I watched a game from this professional league was like 10 years ago. 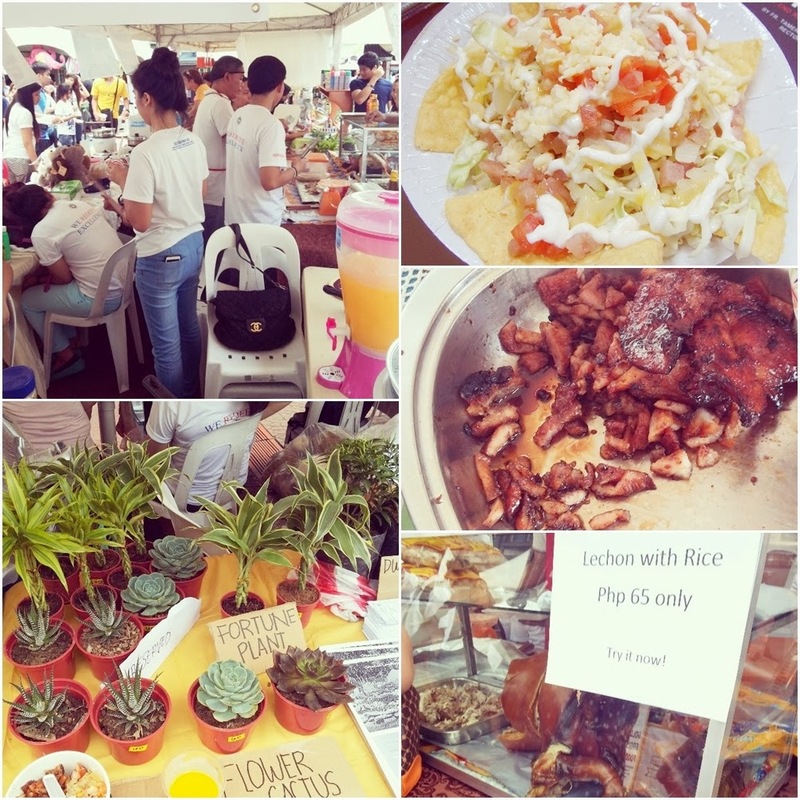 Some foodie discoveries here. Pocky in Choco-Banana is a recent discovery ... guess where, the nearby 7-11 store at the workplace. Bibingka oozing with cheese and butter, Xmas will never be complete without this local treat. Shopaholic hormones strikes again :) This time however, I shopped something for my niece. 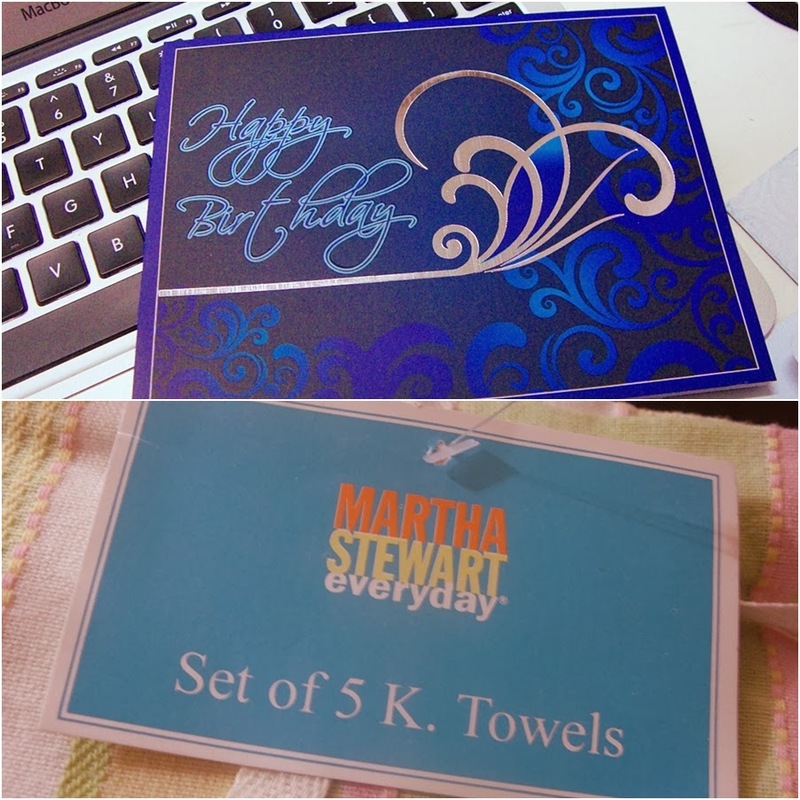 As a birthday present, my best friend T gave me a gift card from Fully Booked. Bestfriends really know how to make the bookaholic in me the happiest. Speaking of book shopping, I discovered an online shopping mecca for all booklovers. Please check out Book Depository for your favorite books. Best thing about this shopping site is the everyday discounts and absence of shipping fees anywhere in the world. Lastly, I just want to post this rare photo with my friends. :) Though I look so fat and healthy here, I just love our last photo for 2013. I have a confession to make. I didn't like the way I celebrated my 30th birthday. Can I just say that it was the worst birthday I ever had? When 2013 entered, I have a lot of plans for my 30th. I wanted a weekend getaway with my friends, family or even on my own. I wanted to see the man made lake in Nuvali, try a new restaurant and check the outlet shops around. After a day in Nuvali, I want a weekend stay in one of my favourite places in the world, Tagaytay. I have nothing but pleasant memories in this place. I love the lush greeneries, cool temperature, quiet and serene churches and the always relaxing view of the Taal Volcano. If only I have the means, I will purchase my own real estate property in Tagaytay. I wanted my own sanctuary in this place. Unfortunately, I was never good in planning, despite the fact that I work for the Corporate Planning Department. In the end, my 30th birthday was spent the usual way. 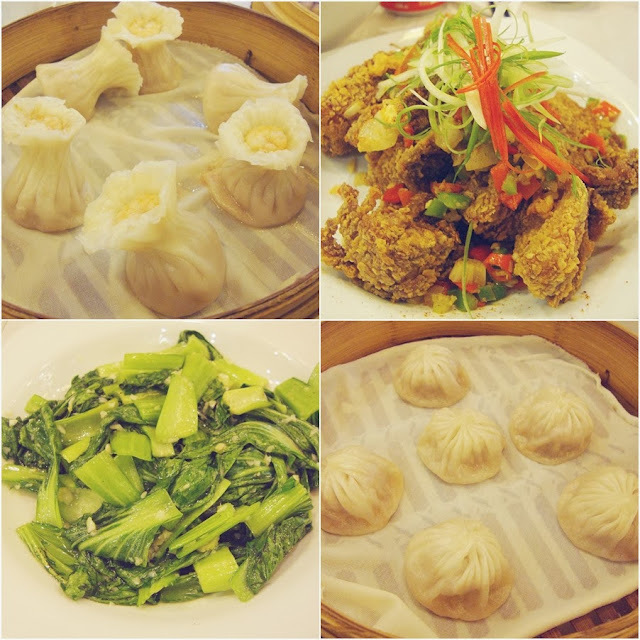 Days before my birthday, I treated my workplace friends for dinner. It was the best! Except for the fact that I was quite surprised with the bill ;) My fault because I underestimated my budget. Despite feeling broke, I had a blast with my friends. The endless catching up stories and laughter made me forget that I'm really turning older. When weekend came, I was feeling signs of an upcoming fever. I had the worst headache coupled with extreme menstrual cramps. I spent the day before my birthday in bed. When Sunday came, I invited my paternal family for a modest celebration. Another confession to make, I never liked the idea of throwing a party. I get easily exhausted these days. I decided to throw a party because of my cousins who bullied me during my Grandpa's birthday. They were forcing me to treat the entire family in a fancy restaurant. I wanted to refuse because it would mean expenditures. I gave in to their request but since I'm quite thrifty these days, I decided to treat them at home. I figured out that this is the cost effective way to celebrate. I gave my parents the budget and let them handle everything. I was relieved but I felt so selfish. I felt guilty because I enslaved my parents. I stayed in bed the entire day while my parents are getting tired for everything. Come Sunday, I was still feeling weak. My guests arrived late and best of all, my cousins who bullied me didn't arrive. God knows how my agitation hormones overflowed that day. For some reason, I also felt that my guests were not pleased with what I could afford to offer. Frustrated and irritated, I tried to convince myself that I had a happy birthday. I also pretended that I'm feeling better. Before I slept, I accomplished a freelance work and prepared things for my 7 am class. I was supposedly on leave the day after my birthday. I thought classes would be over that time. I forgo my leave and chose to attend my class. Hence, I ended working late even on my birthday. I didn't like the way I spent my 30th. It wasn't a happy birthday after all. I gave in to the request of other people only to later frustrate myself. I was unwell. My family aggravated. Worst of all, I felt guilty for enslaving my parents. It has been days after my birthday. I hate to admit it but I feel relieved that it was over. I've been dreading the day I will turn 30. Despite of this, I was hoping for the happiest birthday. I wanted this birthday to be remembered as the best. Surprise of surprises, the opposite of what I was expecting prevailed. I never wished for anything grand. This is something I learned over my years of existence. My forever wish is for things to turn out fine. On my 30th birthday, I never wished for the attention of everyone. I would be happy over simple things like handwritten notes, hugs and kisses, and words of appreciation. Unfortunately, life made other plans for me. It was also my first time to receive a local Martha Stewart product. This only happens once a year and I guess a few times in my lifetime. I turned a year older today! What makes this birthday more special is the fact that I'm entering another decade. Yes, I reached the age that I'm dreading for the longest time. I'm officially 30 today. I started my birthday celebration by treating my workplace friends for dinner. This has been an annual tradition I intend to keep. This is one of the best things about having your birthday on December. The atmosphere is naturally festive. We had a great Chinese dinner accompanied by stories and laughter. 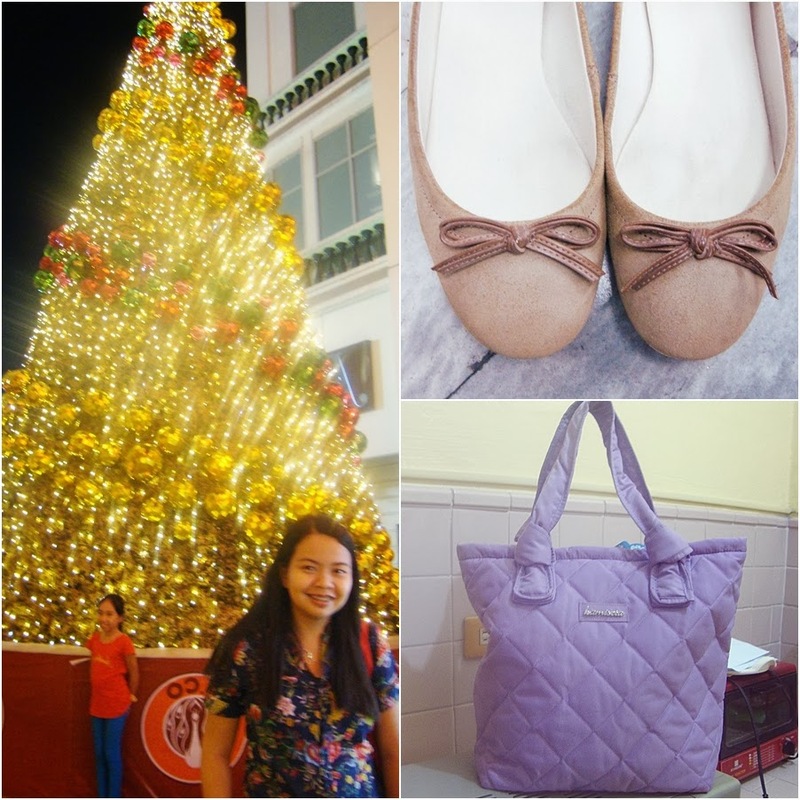 What's a birthday without my favorite flats and a new bag courtesy of my friends G, T and C. Thank you dearest girls! I initially wanted to write a meaningful birthday post. Unfortunately, I'm hindered by some body ache brought about by a surprise dysmenorrhea and severe stiff neck. Perfect pre-birthday gift?! Hopefully, I will feel better later. I have to meet my paternal family for another birthday meal. More than the joy brought to the jetsetters, I felt the need to commend the hardworking employees of West Jet Airlines. Upon further research, I learned that the entire "cast of miracles" were employee volunteers. I would like to believe that they went out of their way to make this happen. Hats off to the men and women of West Jet Airlines who brought tears and made everyone believe in miracles. I'm currently rushing a freelance work. But why am I here? Heehee Thankful and blessed because it means additional income for my family. Hopefully I'll have more during my most awaited two-week break. 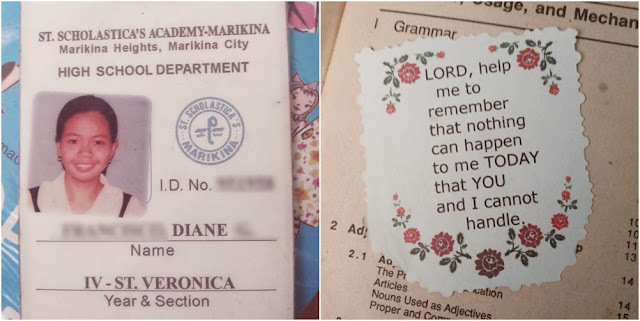 Work and teaching are both fine. Things are smoothly running except for some self-imposed deadlines I failed to beat. I was hoping to finish my documentation project before 2013 ends. With the way things are going, it looks like I have to accept my defeat. :( I have to settle with what I can accomplish for December and complete everything on the first quarter of next year. Setting aside the negativity, let me share the few beautiful things that made my week. Deck the Hall! - The lone but not lonesome Xmas decor at the workplace. We have the traditional Filipino lantern called Parol courtesy of the Big Boss. New Read! - Khaled Hosseini is my new favorite author. The shopaholic and bookaholic in me wants to buy all of his books. I found a copy of A Thousand Splendid Suns from Booksale for only Php 180! Slammer Burgers -Another finally for me haha I discovered Slammer Burgers from another blogger years ago. The burger and fries addict in me has to try. I was more than satisfied with their mini burgers and belgian potato fries. Marks and Spencer - I love M&S paper bag theme this year. I'm forever in love with color blue! Freshwater Pearls - Yes to anything prettifying. Homemade Spring Rolls - Thanks Nanay for making the tastiest spring rolls either in pork, tuna or chicken. AVA.ph - Online shopaholic hormones attacked again. I bought a basic shirt, which I hope to review and blog. Small office problem solved! - I found this huge green clip / cup holder that fits drinks of all sizes. This prevents spillage and moist on my working table. French Macaroons from Tous Le Jours - Thanks to my student E for the early birthday gift. On the first day of December, my entire paternal family was reunited again. We celebrated the birthday of our dear Lolo (grandpa). As always, the happy gluttons were satisfied :) We had Yakiniku and enjoyed my cousin's first attempt to bake cupcakes. It's the first day of my favorite time of the year! I'm looking forward to another meaningful and relaxing birthday and holiday. 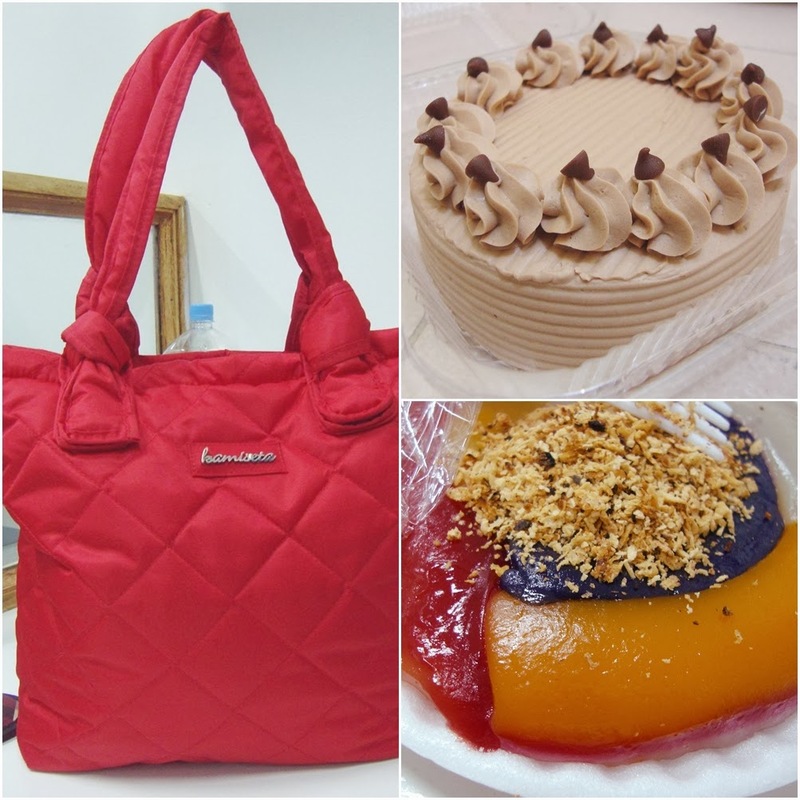 Before I finally embrace December, let me share the few beautiful things that made my week. The college kiddies I used to handle are showcasing their products in the recent trade fair and Foundation Week of our school. Hooray for the creative and hardworking kiddie entrepreneurs! There is a sudden hype for Ramen in the Philippine market. The foodie adventure in me has to try. 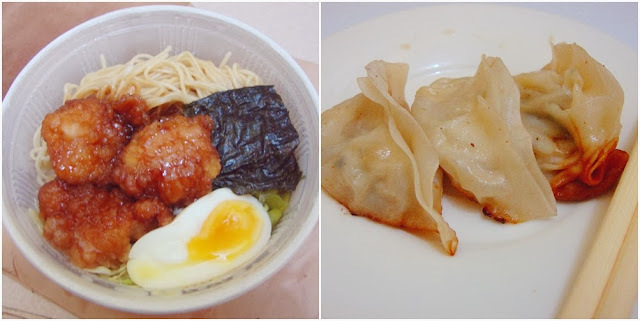 I bought the Japanese Ramen and Gyoza from Tokyo Tokyo. Not bad for Php 150 with my favorite red tea. The red bag reminded me of this dream nylon bag from Marc by Marc Jacobs. While I'm still raising funds to acquire my first piece from Marc Jacobs, I might as well opt for Kamiseta's version. The mocha cake is a new discovery from a small and infamous shop in the mall. The last photo is my favorite Filipino snack called Sapin Sapin. It's made from colored glutinous rice sprinkled with fried grates of coconut. Hope everyone had a great week too.